came to drift as fast as they could over the race course on the last bank holiday weekend. A few arrived early on the Saturday for a BBQ and a beer. The race officer Tyler Harmsworth had a very difficult job on but managed excellently with light wind switching on and off randomly. 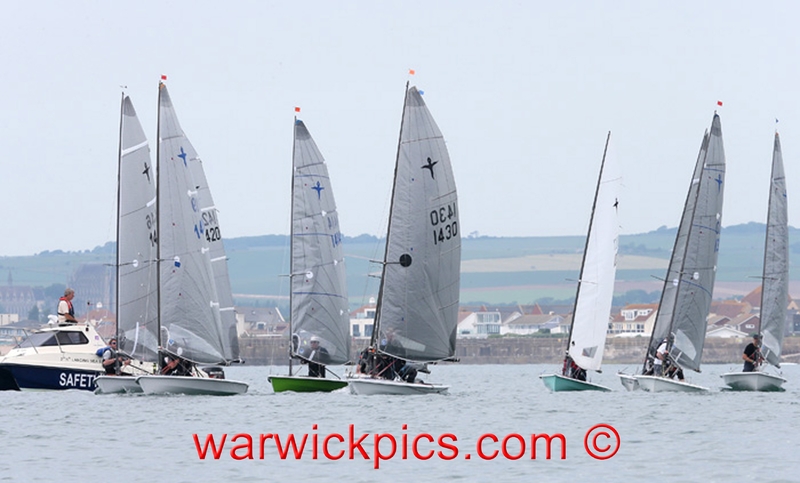 Race 1 on Sunday the fleet spilt and Steve Popple taking the left side got the tide right being first to the windward mark but could not hold on letting John Wayling through to take the win with Paul Birbeck second. After a 2 lap race and no wind for another racing was abandoned for the rest of the day. After an evening meal the fleet and their wives retired to the bar and were entertained with some soulful tunes from the Phantom Spinner on the turntables and some dancing. Race 4 on Monday and Nick Orman showed a clean pair of heals leading from start to finish with Mike Tustin second and Chris Shelton third. 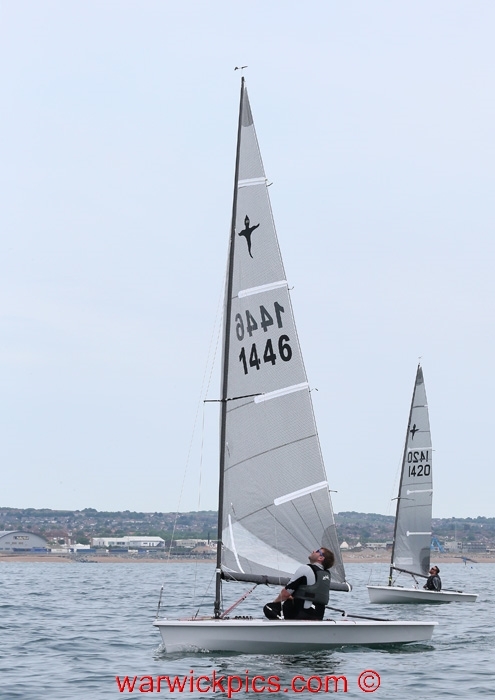 Race 5 and Ivan Walsh getting away well was first to the windward mark but quickly passed down the first reach due to not looking up and noticing the top batten inverted. Paul Birbeck went on to win with Tom Whittingham second and John Wayling third. 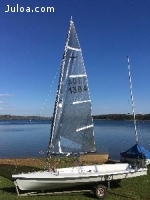 After three races sailed and three different winners Congratulations to Paul Birbeck on winning his first Phantom open meeting. A big thank you to all Shoreham SC members both on and off the water. 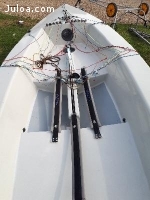 Next Southern event Weymouth Regatta with 9 already signed up..